Like Stars and Jakob the Liar, Marriage in the Shadows (Ehe im Schatten) deals with the subject of anti-Semitism in Nazi Germany. Unlike those films, however, this one came out in 1947 when the Nuremberg Trials were still going on and new revelations about atrocities at the concentration camps were arriving every day. The people of Germany were still in shock and denial, and the Allies and the Soviets were actively engaged in policies of “denazification.” Part of this involved the banning and destruction of hundreds of books that were favorable to Nazis and militaristic thinking, reenacting Hitler’s book burnings from the opposing end of the political spectrum. Another part of the policy involved the distribution of films and literature designed to make Germans acknowledge their collective guilt; a kind of national finger-wagging. The most famous example of this was the documentary, Nürnberg und seine Lehre (Nuremberg – Its Lesson for Today), which was released in Germany in 1948, but didn’t reach American movie screens until 2010. Many of the policies put in place—especially those instituted by the Office of Military Government, United States (OMGUS)—seemed to be intentionally designed to humiliate the German people. In the U.S. sector, Hollywood films that were openly hostile to Germans were shown at theaters, often without subtitles. Not surprisingly, this approach wasn’t popular with either the local townspeople, or the theater owners who were conscripted to show the films. While the western sectors intentionally dragged their feet on the process of re-establishing film production in Germany, the Soviets had DEFA up and running by May of 1946. The western allies, and in particular, the United States, which had a vested interest in promoting their Hollywood films in Europe, were not too happy about DEFA. Many of the early DEFA films were either banned or edited for release in the western sectors. Marriage in the Shadows was the first post-war German film to be screened uncensored in all four sectors. It was also the first one to address the subject of Jewish persecution, and is still one of the most unflinching films on the subject. The film begins during the Weimar years. Hans Wieland and Elisabeth Maurer are lovers and popular stage actors. The audience especially adores Elisabeth, and the fact that she’s Jewish doesn’t affect their enthusiasm. When the Nazis comes to power, things begin to change. The first signs of this occur when they are on vacation and come across a man posting an sign on the beach banning Jews. Things keep getting worse until eventually Elisabeth is no longer allowed to perform on stage. As Hans’ career continues to rise, Elisabeth’s life gets harder and harder. After taking Elisabeth to a premiere of his new film, the couple runs into a Nazi official who is at first charmed by Elisabeth and later horrified to find out that she is a Jew. He orders her sent to a concentration camp, but the couple decides to commit suicide instead. The story is dramatization of the events in the life of the German film and stage actor Joachim Gottschalk. Gottschalk was one of Germany’s most popular leading men; a screen idol who often played the debonair heartthrob. Gottschalk’s wife was Meta Wolff, a Jewish actress who had been highly successful on stage, but found her career abruptly halted with Hitler’s rise to power. Because of Gottschalk’s popularity with the public, the fact that his wife was Jewish was quietly overlooked—at least at first. In some versions of the story (including the one in the movie), Gottschalk made the mistake of taking his wife to a premiere where she charmed some Nazi officials. When Goebbels found out about this he was livid, partly because he hated—really hated—Jews, and partly because it was on his instigation that Gottschalk moved from the stage to the screen and became a movie star. After attempts to get Gottschalk to divorce his wife failed, Goebbels ordered Meta Wolff and their son shipped off to the concentration camp in Theresienstadt, and ordered Gottschalk to report to the Wehrmacht for service. Rather than comply, Gottschalk and his wife gave their son a sedative and then turned on the gas. All three were found dead, and were buried without ceremony at the Southwest Stahnsdorf cemetery near Potsdam. 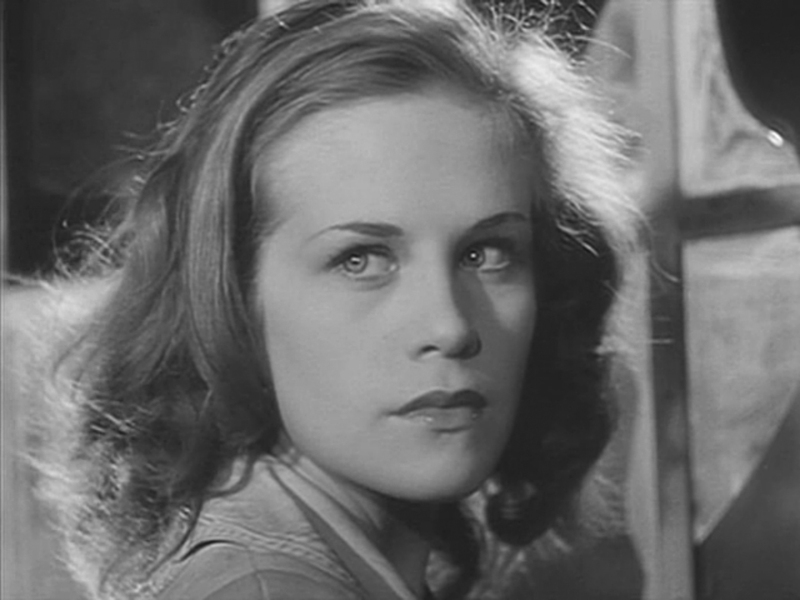 Only a few of their closest friends attended, including Brigitte Horney, who starred opposite Gottschalk in four of his films. News stories and obituaries about what happened to Gottschalk were strictly forbidden and no further mention was made of them while the Nazis were in power. For most Germans, the end credit that the film was based on the story of Joachim Gottschalk was the first they learned of what had happened to the actor and his family. Although the film follows the facts of the story closely, it gets much of its power from Kurt Maetzig’s own experiences. Maetzig was born in Berlin, January 26, 1911. His mother was Jewish, and, like Meta Wolff, killed herself rather than face deportation to a concentration camp. Maetzig himself was born in 1911, and had just begun a successful career in film when the Nazis came to power. Following the Nuremberg laws, Maetzig was forbidden from working in the film industry. He joined the Communist Party and went underground. After the war, Maetzig was one of the founders of Filmaktiv, a group dedicated to restarting the film industry in Germany. It is from this group that DEFA was eventually established. Marriage in the Shadows was Kurt Maetzig’s first feature film, and he clearly wanted to make a strong first impression. The film features more razzle-dazzle than any of his later films. Slow fades back and forth between scenes, cross-cutting, emotionally charged internal P.O.V. shots, and clever transitions are used throughout the movie. It is also, rather ironically, one of his more traditional films in other respects. The use of glamour-shot lighting and emotion-laden music hearken back to the melodramas of the 1930s. That music was composed by Wolfgang Zeller. Zeller was a well-known film composer who made his first big splash in 1926 with his score for the animated film, The Adventures of Prince Achmed (Die Abenteuer des Prinzen Achmed), the oldest existing feature-length animated film. Zeller wrote film scores for many silent films, including Carl Theodor Dreyer’s classic Vampyr. After the Nazis came to power, Zeller continued to work for them, providing the music for every variety of film, including several propaganda films. Most notoriously, he wrote the film score for the virulently anti-Semitic Jud Süß. Perhaps in an attempt to atone for his work during the Third Reich, Zeller imbues the score for Marriage in the Shadows with an intense emotionalism that occasionally overwhelms the visuals. Zeller did a few more films for DEFA, but his traditional, romantic musical style was better suited to the nostalgic films of West Germany. During the early days of DEFA he provided a few scores, but within a few years he was working exclusively in the west. The cinematographers for Marriage in the Shadows were Friedl Behn-Grund and Eugen Klagemann, both of whom had worked for Tobis Filmkunst—Germany’s second largest film company after UFA—during the Nazi years. Like Wolfgang Zeller, Friedl Behn-Grund’s career began during the silent era. During the Third Reich, he was the cinematographer for Titanic, one of the few German films from the Nazi period that is still regularly shown throughout the world. During the early days of DEFA, Behn-Grund shot some of the most well-respected films to come out of that film company, including The Murderers Are Among Us (which he co-filmed with Klagemann), Die seltsamen Abenteuer des Herrn Fridolin B. (The Strange Adventures of Fridolin B. ), Die Buntkarierten (The Girls in Gingham), The Blum Affair (Affaire Blum), and The Council of the Gods. The migration to West Germany was a common occurrence in the early days of the GDR in all fields, but especially in the movies. Many of the film technicians working for DEFA during the first few years were actually Wessis, but couldn’t find any work in the western sectors due to the Allied forces’ restrictive policies toward filmmaking. Once the West German film industry was back up and running, they were perfectly content to continue their careers closer to home. In some cases, film people who were actually from the Soviet sector decided to join the Republiksflucht and head west to the promise of better money. For Paul Klinger, who played Hans Wieland and was a West German (born in Essen), Marriage in the Shadows would be his only East Germany film. He would continue with a successful film and television career in the west, right up until his death in 1971, and in 2007, Germany had a postage stamp made in his honor. 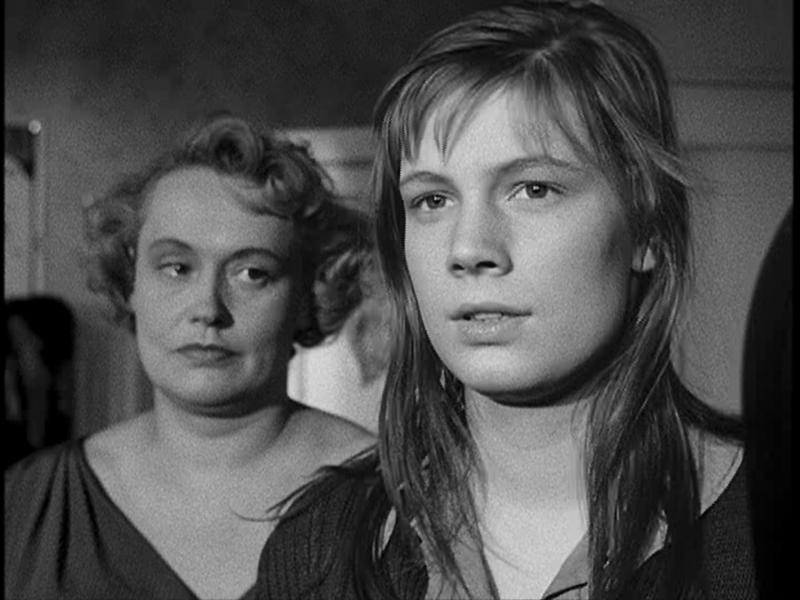 His co-star Ilse Steppat, who played Elisabeth Maurer, made a few more films for DEFA but by the mid-fifties also was working exclusively in the west. Most of the rest of the film crew ended up in the west as well, including, the editors (Alice and Herman Ludwig), the art director (Kurt Herith), and the Costume Designer (Gertraud Recke). When the film was first shown it hit German moviegoers like a punch in the gut. Audiences attending the screenings are reported to have responded with somber silence; still sitting in their seats when the lights came on. Marriage in the Shadows signaled not only a new attitude for the German people, but a new kind of filmmaking. One that would flourish in the east, while the west was content to expend most of their effort making sentimental Heimatfilme. This film is not available commercially in the United States. For its first 25 years, two things kept the rest of the world from learning that East Germany was producing some of the best films in Europe. First was the country’s unfortunate tendency to ban its directors’ best efforts. Films such as The Axe of Wandsbek, Sun Seekers, Born in ‘45, and The Rabbit is Me would have certainly put East Germany on the movie map if not for the fact that they were all shelved by the authorities. The second factor was the West’s refusal to accept that East Germany was a country at all. East Germany wasn’t recognized by the United Nations until 1973, and even then it was only because the GDR and the FRG had finally agreed to accept each other as sovereign states. It was a consequence of this “East Germany-is-not-a-country” policy that the DEFA film Stars (Sterne) was submitted to the Cannes Film Festival as the official entry from Bulgaria instead of the GDR. But it is really an East German film, and it was the first—and is still the only—German film to ever win the Prix du Jury at Cannes. To add irony to the insult, the film, which was popular in East Germany, was banned in Bulgaria. Stars is a classic doomed love story about a German soldier who falls in love with a Jewish prisoner. The soldier, who is known only as Walter, is a would-be painter who has been drafted into the war effort and finds himself in a small Bulgarian village, guarding Jewish prisoners from Greece. The prisoners are on their way to Auschwitz. There, they are told, they will work on vegetable farms. Of course, we all know this isn’t true. So do most of them, but no one wants to acknowledge it. Walter is trying to do his duty as a good German soldier, but his conscience keeps getting in the way. At the time it was made, there weren’t many films that portrayed German soldiers in a favorable light. There were a few, such as The Murderers are Among Us, Rotation, and Sun Seekers, in which former German soldiers expressed remorse for their actions during the war (or, in some cases, their inaction), but there had never been a movie in which the hero was a German soldier who was abetting the enemy. German soldiers were always portrayed as loyal to the death to the Third Reich, and therefore always the bad guys. Stars gives us a much more nuanced picture. Even the amoral Kurt—Walter’s immediate superior—is portrayed as a vivacious and ebullient character, who, in other circumstances, might be a great deal of fun to go bar-hopping with. Kurt has been to Auschwitz and there is some evidence that he knows what is happening there is wrong. He refers to Auschwitz as a “mill for human flesh” (Menschenfleisch). He notably does not say “Jewish flesh” (Jüdenfleisch), indicating that he recognizes the humanity of the Jews. But Kurt prefers not to think to hard about the situation and alleviates any qualms he may have by staying drunk as often as possible. 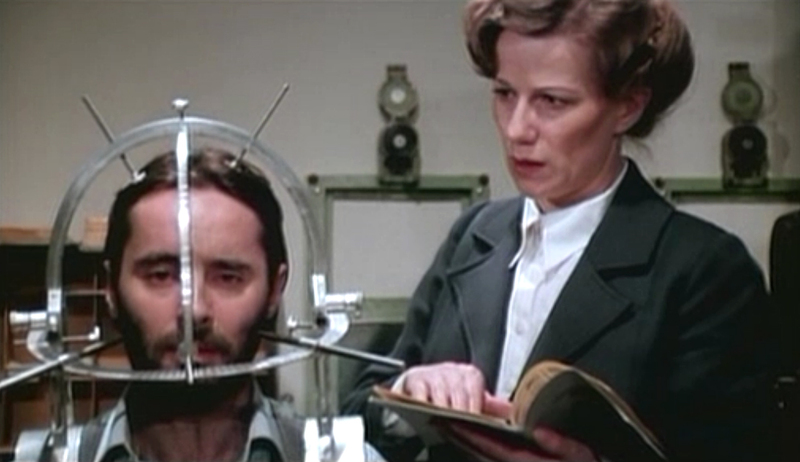 As Ruth, the headstrong Jewish prisoner, Sasha Krusharska turns in as close to a perfect performance as one could hope for. She is strong and vulnerable, tender and hard, and, unlike most of the actresses that were chosen to play similar roles in Hollywood (e.g., Millie Perkins in The Diary of Anne Frank), Krusharska looks Jewish. She is also stunning, and it is easy to see why a young soldier would fall for her. Sadly, Krusharska only starred in one more film (The Last Round, or Posledniyat rund) before marrying and settling down with Bulgarian film director Rangel Vulchanov. Vulchanov had worked as a consultant director on Stars. 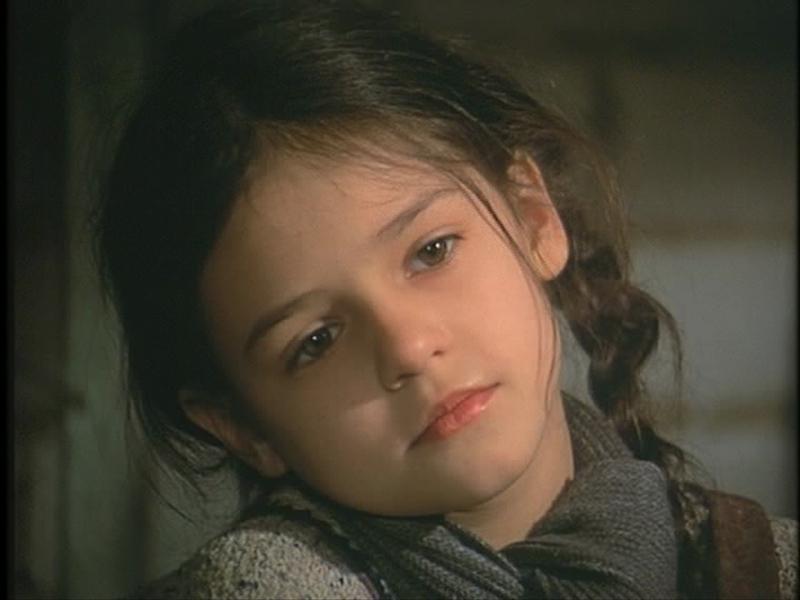 Their daughter, Ani Vulchanova, has gone on to become a successful actress in Bulgaria. 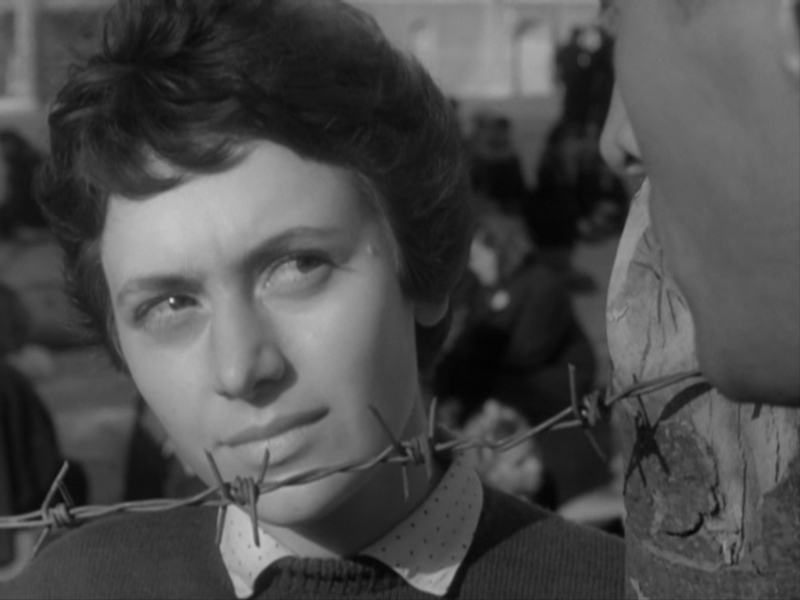 In 1959, feature films that dealt directly with the holocaust were still relatively rare. In the United States, the true horror of Auschwitz was still an abstract concept. It wouldn’t be until the release of Stanley Kramer’s Judgement at Nuremberg that most Americans would see actual film footage from the concentration camps for the first time. * Germans, of course, were closer to the subject, but most of the films prior to Stars kept talk of the concentration camps as general as possible. Even in the GDR, which was far less averse to examining its Nazi past than the west was, the talk in films of concentration camps was mostly about the experiences of the political prisoners rather than the extermination the Jews (The Council of the Gods came the closest, with its discussion of the manufacturing ot Zyklon B). Stars was written by the Bulgarian author Angel Wagenstein. Wagenstein, a Sephardic Jew, was arrested and condemned to death for anti-fascist sabotage during the war, but was liberated when the Soviet Army invaded the country. After the war, Wagenstein enrolled at the S. A. Gerasimov All-Union State Institute for Cinematography in Moscow, where he earned a degree in screenwriting. Upon returning to Bulgaria, he started writing scripts for Boyana Film, the state-owned film company. Wagenstein wrote the script for Stars in seven days, although he said he thought about it for 77 days before that and had already lived through the events depicted. When he finished it, he took it to Kurt Maetzig at DEFA, but Maetzig, perhaps tired of making films about WWII, wasn’t interested (Maetzig’s next film would be the sci-fi feature The Silent Star). Konrad Wolf, however, was interested. Wolf has just finished making Sun Seekers, only to see it shelved for political reasons. Perhaps Stars would fare better with the authorities. Wagenstein would write many more films for DEFA over the years, including scripts for Joachim Hasler’s The Story of a Murder, Konrad Wolf’s Goya, and Herman Zschosche’s oddball science fiction film, Eolomea. More recently, he has turned to book writing. His novels—Isaac’s Torah, Farewell Shanghai, and Far from Toledo—comprise a trilogy that examines the Jewish experience in different regions during WWII. His books have been published in eleven languages. After the film was made it was submitted to the East German authorities, who approved it for public showing. Back in Bulgaria, however, things were different. The exportation of Jews to concentration camps was a touchy subject. Although they were a member of the Axis powers, Bulgarians saw themselves as resistant to the Nazi war machine. They had begged out of Operation Barbarossa, and had repeatedly postponed the deportation of their ethnic Jews (Jews from Thrace and Macedonia, however, were not afforded the same consideration). Although it was banned on the grounds of being an “abstract humanist” film, certainly the idea of a film about the deportation of Jews from Bulgaria was a factor in their decision to not show it. In spite of the ban, the film was submitted to Cannes as a Bulgarian film because East Germany was still not recognized as a real country (in fairness, neither was West Germany). The film ended up winning the Prix du Jury that year (the Palme d’Or went to Black Orpheus). Thanks to the success of the film at Cannes, the film was also shown in West Germany. There, however, the ending was edited to remove the Casablanca-like scene where Walter decides to help the resistance. As with Sun Seekers, Konrad demonstrates a keen facility for the use of film techniques to propel the narrative. After Walter meets Ruth, he looks back at her, and the camera angle is sharply skewed, showing that Walter’s world is about to tumble out of control. And when things are at their worst, the images are dark and grim. Occasionally, Wolf’s technique approaches the experimental with strange juxtapositions. In the scene when the baby is born in the Jewish encampment, Ruth’s face is superimposed over scenes of grassy fields and a babbling brook (a literal interpretation of the lyrics to the Jewish folk song “Eli, Eli”) while the baby cries in the background. it is a sad scene of hope in a world where hope has no right to exist. The music in this film is by the Bulgarian composer, Simeon Pironkov, whose score comes primarily from two sources: the aforementioned “Eli, Eli” (“My God, My God”) and Mordechai Gebirtig’s “Es brennt” (“It is Burning”). Gebirtig was a Yiddish poet and songwriter who died in the Kraków Ghetto in 1942. The song was written in response to the pogrom of 1936 in Przytyk, Poland, two-and-a-half years before Kristallnacht. “Es brennt” went on to become the anthem of the Jewish resistance movement during the war and it is still sung on Holocaust Remembrance Day (Yom HaShoah) in many parts of the world. It is the combination of “Es brennt” and Sasha Krusharska’s performance that creates a final scene that will hit you right in the gut. 1. In the west, Germans were shown this footage in 1948 in Nürnberg und seine Lehre, a film made by the U.S. Military as part of their “de-Nazification” program. By the time this films was released, however, tensions between the United States and the Soviet union were strained to the breaking point, so it is doubtful that this film ever was shown in the east. The film did not receive an official release in the United States until 2010. Your Unknown Brother takes place in 1935; many years before the GDR was established. Although it is ostensibly about the Nazi regime, the parallels to East Germany in the 1980s are obvious. Uwe Kockisch plays Arnold Clasen, a member of the banned Communist party who was arrested for painting communist slogans on a wall. After being released from a concentration camp, he takes a job as a projectionist at the local movie house, where his boss, a sexually frustrated woman named Heidemarie Fritsch (Karin Gregorek), has the hots for him. Like many Germans at the time, she has bought into the Nazi philosophy and admires Hitler greatly. Likewise his good friend, Richard Deisen (Bohumil Vávra), who runs a local tobacco shop, puts total faith in the fascist regime, only to see it repaid with callous indifference. Arnold tries to get back in touch with other party members, but he is no longer sure whom to trust. He finally opens up to a man named Walter Kepler (Michael Gwisdek), who seems to be a true communist loyalist, but eventually Arnold begins to doubt his allegiances as well. 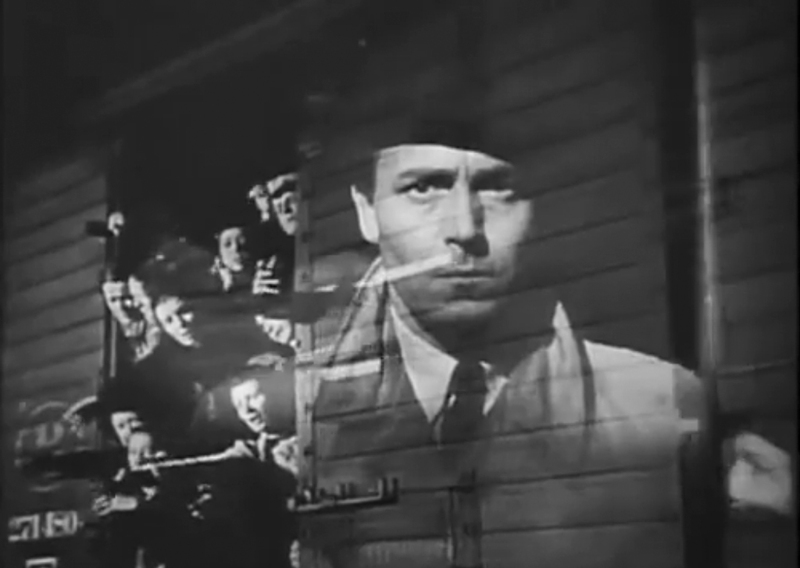 The opening credits of Your Unknown Brother (Dein unbekannter Bruder) offers us a clue to the pacing and style of this film. The titles are shown in silence over a background of slowly flowing teal-colored water. We are as far from the cinema of Mad Max as possible. No need for seatbelts here: this film is going to take its time. Reading member reviews of this film on IMDB, it is obvious that this approach is not for everyone. The most common complaint about Your Unknown Brother is that it is slow and boring. But for the viewer that is willing to put down the popcorn and pay attention, this film offers a clever attack on the East German government at a time when the Stasi was at its most invasive and effective, and that’s no small feat. Several scenes in the film do little to move the plot forward and seem to be in the film for the sole purpose of making sure that audience is aware that the film is not really about the Nazis at all. In one scene Arnold helps another man peer over a wall to see what people on the other side are doing, a popular pastime in East Germany after the wall was built, until the Volkspolizei made it nearly impossible to do. In another scene, workers complain that they are working harder than ever for less pay—the same complaint that led to the construction workers strike in 1953. The main premise of the film—that trust is nearly impossible in a world where informants are everywhere—is unmistakably directed at the Stasi and their vast network of civilian informants (referrred to as inoffizielle Mitarbeiter, or IMs , for short). The Stasi—short for Staatssicherheit—was the organization responsible for state security in the GDR. Their secret police seemed, at times, to know everything that everyone was doing. Their surveillance techniques were legendary and were well dramatized in Florian Henckel von Donnersmarck’s 2006 film, The Lives of Others (Das Leben der Anderen). They were particularly effective at recruiting informants that seemed above reproach. It was only after the Wende and the publication of the Stasi files that many people found out that the person they trusted the most turned out to be the one that betrayed them. When Your Unknown Brother was released in the west, people immediately saw the similarities between the GDR and the vision of Nazi Germany portrayed in this film. Once the East German government figured this out, they stepped in and stopped it from being shown at Cannes. In 1982, when the film was made, the Stasi’s control over every aspect of daily life in the east was virtually complete. Your Unknown Brother demonstrates how, even in the worst of times, a clever filmmaker can attack the very system that is trying to control him. It is worth seeing for this reason alone. It is also a testament to how rigid and narrowly focused the East German government had become. One can only wonder how they would have reacted to this film in 1965, when so many films were banned during the 11th Plenum of the SED for even the slightest hint of government criticism. It is, perhaps, ironic that the female lead in this film is played Jenny Gröllmann. After the wall came down, her husband from 1984 to 1990, Ulrich Mühe, claimed that Ms. Gröllman was a Stasi informant (IM), a claim that she denied under oath. Ulrich Mühe portrayed a Stasi officer in The Lives of Others, a film that details how an East German playwright’s wife is coerced into becoming an informant for the Stasi. Ms. Gröllman died of cancer in 2006 (Ulrich Mühe died of stomach cancer a year later). Director of Photography, Chris Neumann’s work here is some of his best. Shooting in a foggy environment is never easy, and Neumann pulls it off without a hitch. But it is when things move into the lush world of the Nazi upper class that his work really shines with a richness of color comparable to Gordon Willis’ work on The Godfather. Special mention should be given here to Production Designer, Paul Lehmann, who vividly recreates the 1930s in a manner that never feels like set design. It seems real. Some have pointed out that this may be due in part to the fact that East Germany was, in many ways, stuck in time and still had WWII architecture available, but Paul Lehmann must still be given credit for making it all seem fresh and opulent in 1982 when the film was made. The opening credits of Your Unknown Brother (Dein unbekannter Bruder) offers us a clue to the pacing and style of this film. The titles are shown in silence over a background of slowly flowing teal-colored water. We are as far from the cinema of Mad Max as possible. No need for seatbelts here: this film is going to take its time. Reading member reviews of this film on IMDB, it is obvious that this approach is not for everyone. The most common complaint about Your Unknown Brother is that it is slow and boring. But for the viewer that is willing to put down the popcorn and pay attention, this film offers a clever attack on the East German government at a time when the Stasi was at its most invasive and effective, and that’s no small feat. Several scenes in the film do little to move the plot forward and seem to be in the film for the sole purpose of making sure that audience is aware that the film is not really about the Nazis at all. In one scene Arnold helps another man peer over a wall to see what people on the other side are doing, a popular pastime in East Germany after the wall was built, until the Volkspolizei made it nearly impossible to do. 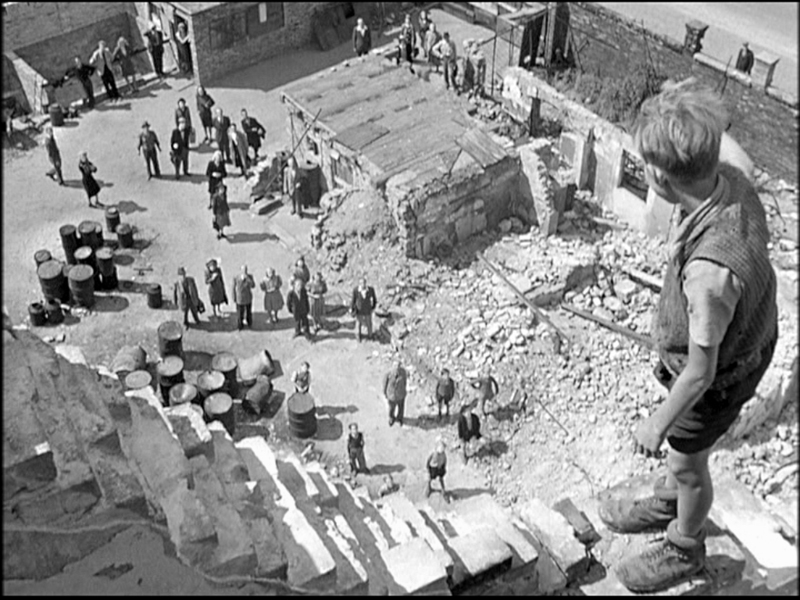 In another scene, workers complain that they are working harder than ever for less pay—the same complaint that led to the construction workers strike in 1953.The main premise of the film—that trust is nearly impossible in a world where informants are everywhere—is unmistakably directed at the Stasi and their vast network of civilian informants (creferrred to as inoffizielle Mitarbeiter, or IMs , for short). The Stasi—short for Staatssicherheit—was the organization responsible for state security in the GDR. Their secret police seemed, at times, to know everything that everyone was doing. Their surveillance techniques were legendary and were well dramatized in Florian Henckel von Donnersmarck’s 2006 film, The Lives of Others (Das Leben der Anderen). They were particularly effective at recruiting informants that seemed above reproach. It was only after the Wende and the publication of the Stasi files that many people found out that the person they trusted the most turned out to be the one that betrayed them. Special mention should be given here to Production Designer, Paul Lehmann, who vividly recreates the 1930s in a manner that never feels like set design. It seems real. Some have pointed out that this may be due in part to the fact that East Germany was, in many ways, stuck in time and still had WWII architecture available, but Paul Lehmann must still be given credit for making it all seem new and opulent in 1982 when the film was made. IMDB page for the film.Your Unknown Brother takes place in 1935; many years before the GDR was established. Although it is ostensibly about the Nazi regime, the parallels to East Germany in the 1980s are obvious. Uwe Kockisch plays Arnold Clasen, a member of the banned Communist party who was arrested for painting communist slogans on a wall. After being released from a concentration camp, he takes a job as a projectionist at the local movie house, where his boss, a sexually frustrated woman named Heidemarie Fritsch (Karin Gregorek), has the hots for him. Like many Germans at the time, she has bought into the Nazi philosophy and admires Hitler greatly. Likewise his good friend, Richard Deisen (Bohumil Vávra), who runs a local tobacco shop, puts total faith in the fascist regime, only to see it repaid with callous indifference. Arnold tries to get back in touch with other party members, but he is no longer sure whom to trust. He finally opens up to a man named Walter Kepler (Michael Gwisdek), who seems to be a true communist loyalist, but eventually Arnold begins to doubt his allegiances as well. The main premise of the film—that trust is nearly impossible in a world where informants are everywhere—is unmistakably directed at the Stasi and their vast network of civilian informants (creferrred to as inoffizielle Mitarbeiter, or IMs , for short). The Stasi—short for Staatssicherheit—was the organization responsible for state security in the GDR. Their secret police seemed, at times, to know everything that everyone was doing. Their surveillance techniques were legendary and were well dramatized in Florian Henckel von Donnersmarck’s 2006 film, The Lives of Others (Das Leben der Anderen). They were particularly effective at recruiting informants that seemed above reproach. It was only after the Wende and the publication of the Stasi files that many people found out that the person they trusted the most turned out to be the one that betrayed them. Right from the start, the east was always more willing to talk about World War II than the west. After the war, East Germany had no vested interest in placating the fat cats that had been profiteering under the Nazi regime. They nationalized large corporate holdings, and the leaders of any such companies were seen as enemies of the state, or at least in need of reeducation. Meanwhile in the west, the Allies and the Federal Republic were giving lip service to anti-Nazi sentiments and were punishing the worst offenders, but they were also quietly allowing many Nazi collaborators to return to business as if nothing had happened. Unlike the GDR, the Bundesrepublik wasn’t interested in overthrowing the capitalist system. It chose instead to make a deal with the devil and let some of the lesser offenders get back to work while the worst cases were paraded before the news media. Small wonder then that the East was first to make movies that mentioned concentration camps (see Murderers Among Us), and the first to set dramas in concentration camps. Naked Among Wolves (Nackt unter Wölfen) is one of the first dramatic films to be set entirely within the confines of a concentration camp. It is based on the true story of Stefan Jerzy Zweig, a three-year-old Jewish boy, who was sent to Buchenwald. From there he was scheduled to be shipped off to Auschwitz for extermination, but through the clever deceptions and misdirections of some prisoners and his father, he escaped execution. Communist playwright, Bruno Apitz, was also a prisoner at Buchenwald at this time, and although he had no direct contact with Zweig, he heard about the boy through the prison grapevine and recognized the story’s dramatic potential. After the war, he approached DEFA with the idea of making a film out of the story, but they weren’t interested. Instead, he had the story published as a book, which quickly became a best-seller in East Germany, moving DEFA to rethink their position on the movie. A TV-movie, directed by Georg Leopold, was made from the film in 1960, with the theatrical film, made by Frank Beyer, released in 1963. Frank Beyer had come to the attention of most East Germans a few years earlier with Fünf Patronenhülsen, a film about five anti-fascists chosen to transport secret information across enemy lines during the Spanish Civil War. Beyer was still considered something of a young gun at DEFA (he was 28 when he made Fünf Patronenhülsen), but certainly knew how to make a film. To play Walter Kraemer, the oberkapo for the prisoners, Beyer had wanted to cast the popular singer/actor Ernst Busch. Busch, a life-long communist, was a popular interpreter of the work of Brecht and Weil prior to World War II. He spent much of the war evading the Gestapo and recording songs for the Spanish Resistance. He was eventually captured and thrown into Camp Gurs in France. After the war, he moved back to Germany, preferring, naturally enough, to settle in the east instead of the west. Although he had appeared in several films prior to the war, it wasn’t until Fünf Patronenhülsen was made that he returned to film acting. Busch was initially resistant to request to play the lead in Naked Among Wolves, but eventually agreed. Then two weeks before filming was due to start, he suffered a severe heart attack, forcing him to drop out of the project. Erwin Geschonneck was enlisted in his place. Like Busch, Geschonneck had spent time in a concentration camp during World War II. At the end of the war, he was nearly killed by the Royal Air Force when they sank the Cap Arcona, a ship being used to transport prisoners.1 His story was turned into a made-for-TV movie in 1982 (Der Mann von der Cap Arcona). After the wall came down in 1989, The eighty-three year-old Geschonneck retired from filming, appearing only once more in the 1995 TV-movie, Matulla und Busch, which was directed by his son, Matti. Geschonneck died March 12, 2008 at the ripe old age of 101. One common complaint about the film is the unavoidable fact that the actors playing the camp inmates look much too healthy. Some critics also attacked the film for not showing the atrocities that were occurring there and in nearby Ohrdruf. Reportedly, it was for this reason that the film did not win the best picture award at the Moscow International Film Festival, losing to Fellini’s 8½ after Polish film director, Jan Rybkowski, complained that the movie didn’t confront the atrocities with enough candor. The lead performances are outstanding. Erwin Geschonneck was already considered the best actor in East Germany, but Armin Mueller-Stahl was a relative newcomer. He had already proved his merit in two previous Beyer films (Fünf Patronenhülsen, and Königskinder), and was well on his way to becoming one of the most respected actors in the GDR. But, unlike Geschonneck, he left East Germany before its collapse when he was forced out of the acting profession after protesting the denaturalisation of folk singer Wolf Biermann. After immigrating to the west he continued his career and soon became a popular actor on both sides of the Atlantic. Naked Among Wolves is as much about the Buchenwald Resistance as it is about Stefan Jerzy Zweig. Since many of the prisoners were political, they did everything in their power to stymie the efforts of the Nazis in anyway they could, and even attempted a coup in the final days of the war. While the Buchenwald Resistance was, in reality, a motley group, made up of communists, social democrats, and other political and religious prisoners, the DEFA film concentrates primarily on the efforts of the communists. This is to be expected though; the west did the exact opposite, preferring to play down the resistance efforts of anyone too far left of center. When Stefan Jerzy Zweig learned of the movie, he moved to East Germany and studied cinematography at the film school in Babelsberg, making a short film about Robert Siewert—one of his protectors at Buchenwald. Zweig was treated like a hero, but the anti-Zionist attitudes of the GDR found him often on the wrong side of arguments there. He eventually settled in Austria where he worked as a cameraman for many years. 1. In an odd turn of fate, the Cap Arcona was also a movie star. It was used to portray the Titanic in the 1943 German movie of the same name. Titanic is one of the only German films made during the Third Reich that is shown regularly on TCM, and is available from Netflix.